In 1785 London, the dead creature is a lucrative commodity. Dubious, but anxious to recoup his costs, Mr. Hancock decides to display it, which eventually introduces him to a brothel-keeper and her courtesans. Among them is the gorgeous Angelica Neal, who seeks a new protector. Bawdy hijinks ensue – the title predicts the protagonists’ unlikely match – and serious ramifications also. The characters wrestle with their ambitions versus being content with what they have. Leisurely told, and leavened with a knowing wit, Gowar’s debut, a UK bestseller, brims with colorful period vernacular and delicious phrasings (one woman is “built like an armchair, more upholstered than clothed”; another has a “mouth like low tide”). Concerned with the issue of women’s freedom, it offers a panoramic view of Georgian society: its coffee-houses, street life, class distinctions, and multicultural populace. 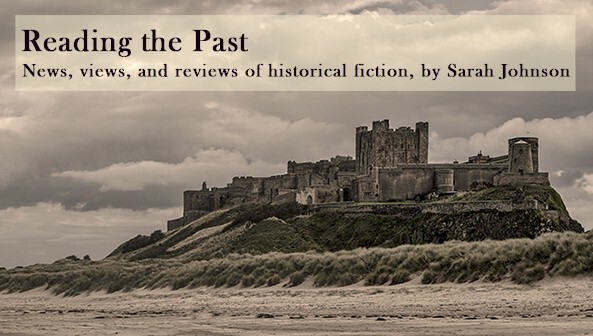 A sumptuous historical feast recommended for fans of Jessie Burton’s The Miniaturist. Imogen Hermes Gowar's The Mermaid and Mrs. Hancock has been available in the UK since January, and it will be published in the US by Harper on September 11th. I submitted this review for Booklist's August issue. If you've already read it, I'll be interested to hear your thoughts! I must read this, if only for the armchair woman! All sounds very British, which draws me like a magnet. Yes, it is very British in the language/feel (and the dry wit). I hope you'll enjoy it! What's funny is I saw later that the Publishers Weekly reviewer pulled out the same phrase about the armchair woman. It's a memorable one! I agree. 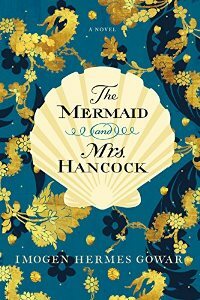 I thought The Mermaid and Mrs. Hancock simply brilliant, especially the descriptions. There was something old world about her writing style. I "read" it in the audible edition, narrated by the incomparable Juliet Stevenson, and loved it so much I promptly ordered the gorgeous print edition. What a great interview. I hadn't realized her age. The style is so assured and witty that it is hard to believe it's a debut. I like her comment "I hadn’t realised that books could be in dialogue with one another." It's very true, and knowing that she was motivated by having read Mrs. Jordan's Profession is enlightening.